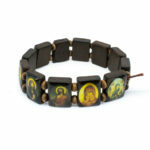 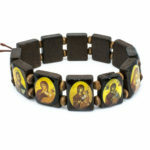 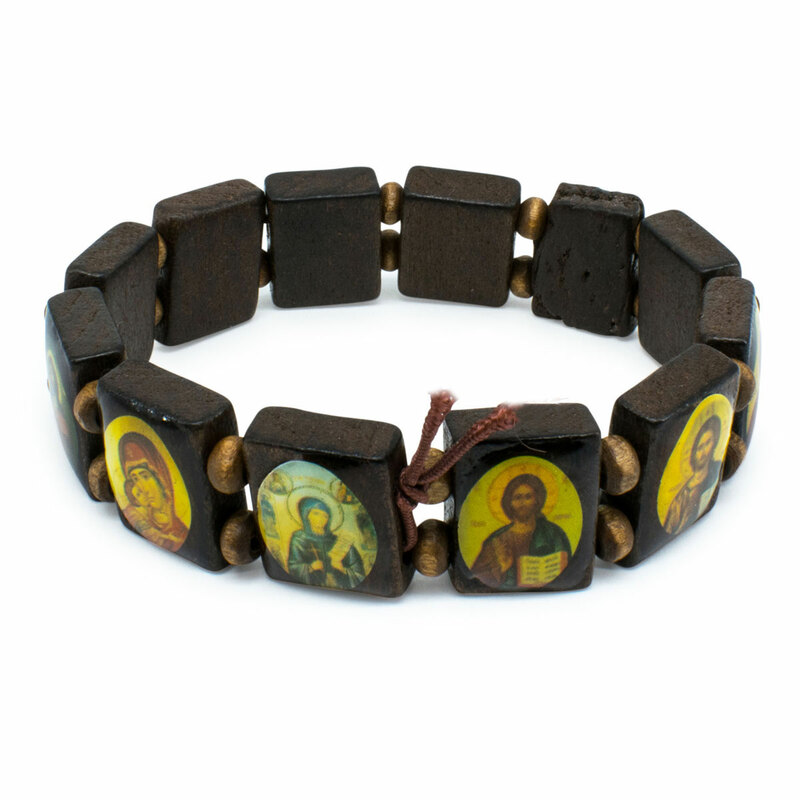 The Black version of the wooden Orthodox Saints bracelet (Icon bracelet or protection bracelet). 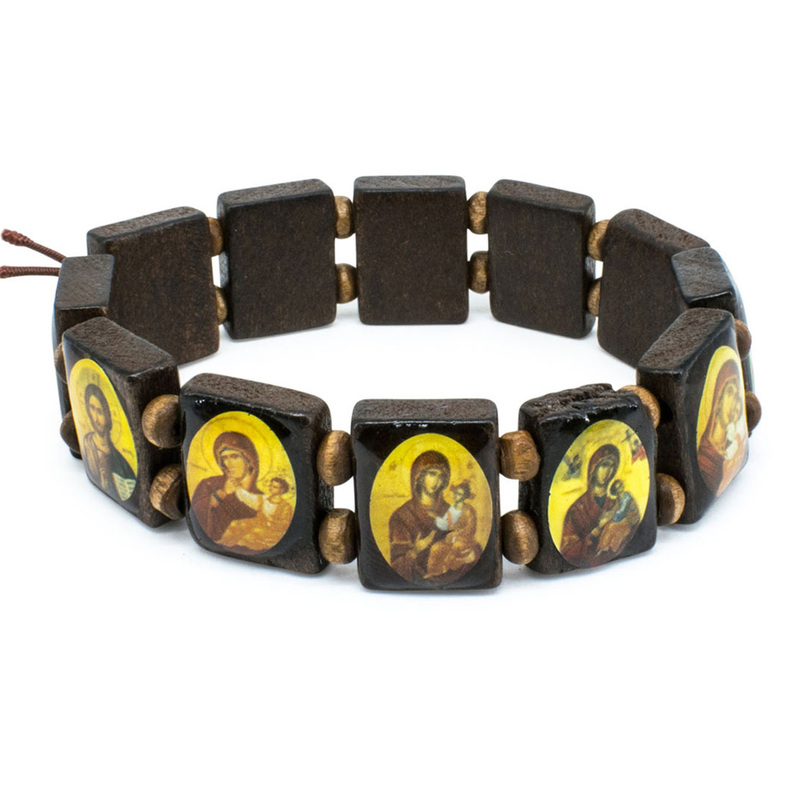 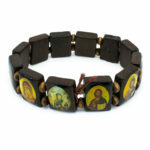 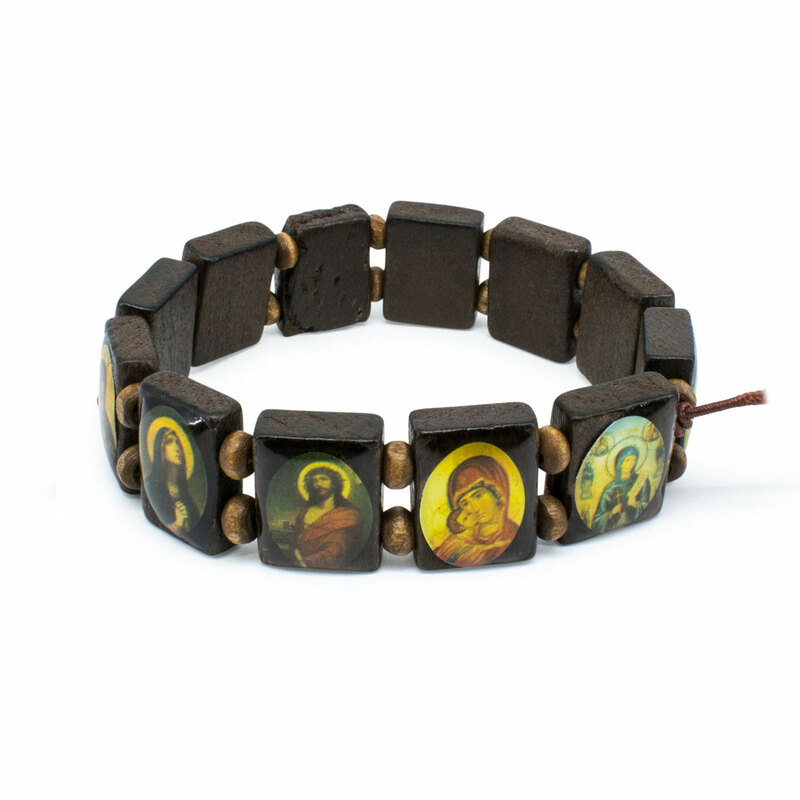 This bracelet has several wooden slates that depict different Orthodox saints. 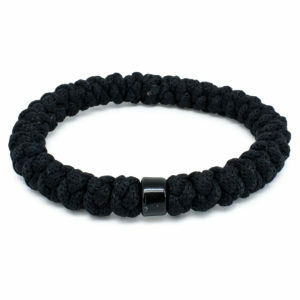 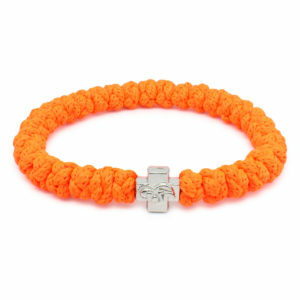 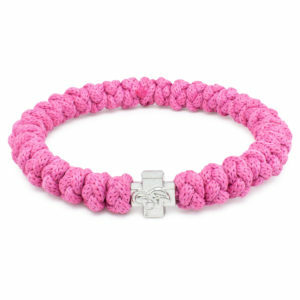 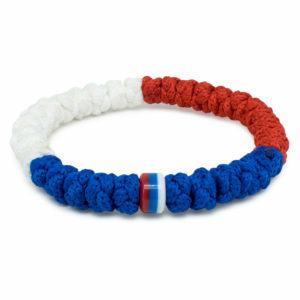 A truly wonderful bracelet, that stretches and fits any wrist. 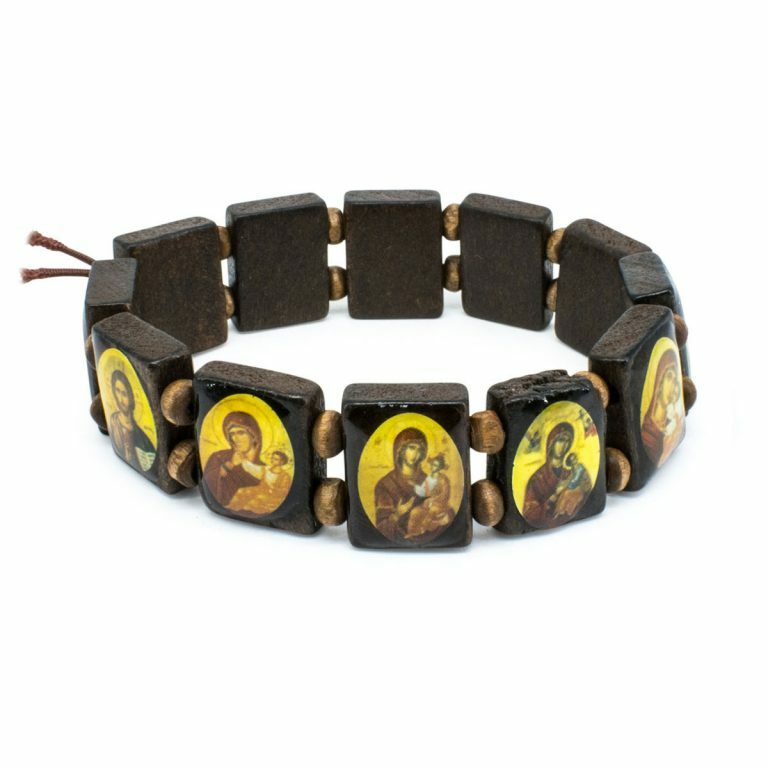 Blessed and purified by the Orthodox Christian Church.